Stormy Daniels' attorney and potential Democratic 2020 candidate Michael Avenatti has been arrested on suspicion of felony domestic violence. We're told during Wednesday's confrontation the woman ran out of the apartment building and was on the sidewalk on her cellphone with sunglasses covering her eyes, screaming on the phone, "I can't believe you did this to me." We're told security brought her inside the building and Michael showed up 5 minutes later, ran into the building, chasing after her. He screamed repeatedly, "She hit me first." We're told he angrily added, "This is bulls***, this is f***ing bulls***." The Los Angeles Police Department confirmed on Twitter that Avenatti was arrested on the suspicion of domestic violence. During the confirmation process for Supreme Court Justice Brett Kavanaugh, Avenatti tweeted about the importance of respecting and hearing assault victims and women.
.@realDonaldTrump @LindseyGrahamSC @ChuckGrassley and all of the other GOP misogynists in the US Senate can attack me all they want. I will respond in kind and then some. These old white men still don’t understand that assault victims and women deserve respect and to be heard. He describes himself as a "fighter for good" in his Twitter bio. The Washington Free Beacon reported in May that CNN and MSNBC had given Avenatti nearly $175 million in free media. He has appeared on television numerous times since then. 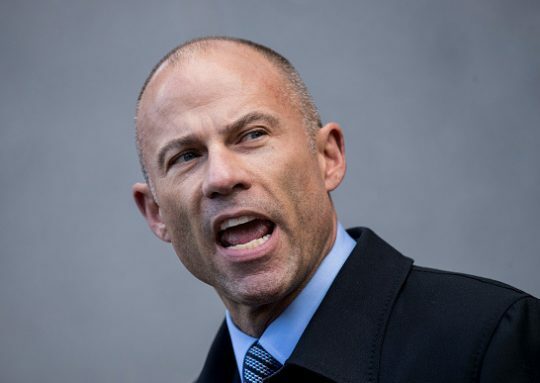 In September, Avenatti claimed he had received a "lot of encouragement" from top officials at the Democratic National Committee to run for president in two years. The founder of the pro-Clinton, "Ready for Hillary" super PAC said he would "absolutely" support Avenatti in the Democratic primary. Avenatii's wife released a statement saying the woman involved is not her and that she has never known Avenatti to be physically abusive towards women. UPDATE 7:13 p.m.: Story was updated to include the statement from Avenatti's wife, denying she was the woman involved in the alleged incident. UPDATE 7:22 p.m.: Story was updated to include LAPD's confirmation that Avenatti was arrested. This entry was posted in Politics and tagged Brett Kavanaugh, DNC, Michael Avenatti. Bookmark the permalink.